At Soffa we pay attention to details, because it is details that add a specific atmosphere and its originality to any space. 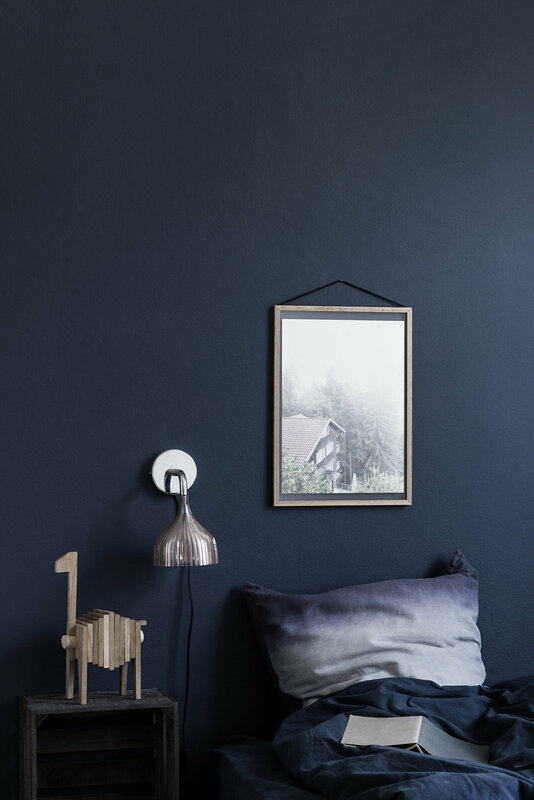 Let’s take a look at the Danish brand, that creates the elementary details of the decor and finds the beauty in its simplicity. 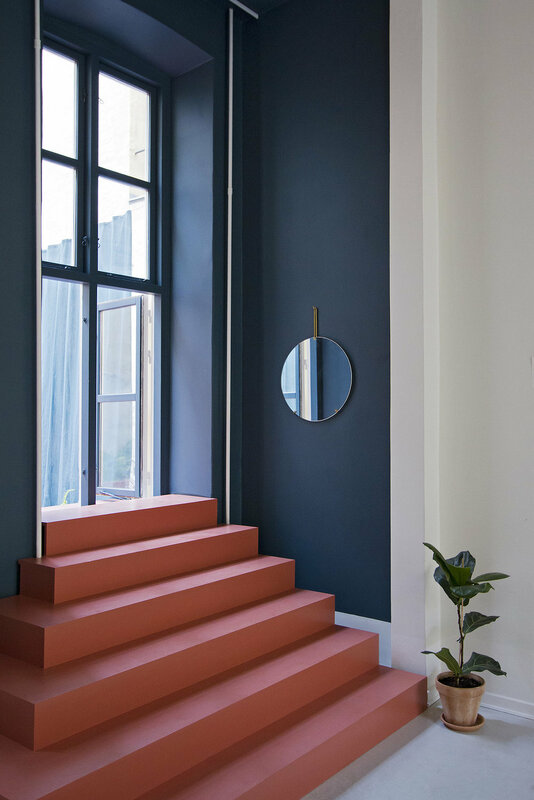 Moebe is the Copenhagen based design brand founded by cabinetmaker Anders Thams and architects Nicholas Oldroyd and Martin D.Christensen. They create simple, everyday essential objects. Designers prefer to keep things simple and appreciate details, focusing on essentials. The whole concept of the brand is ‘clean’ and clever constructed products, assembled without gluing, welding or any other easy or hidden solutions. Plain shelving systems, delicate candlelights, round-shaped mirrors with minimalistic frame made from lightweight metal wireworm, basic stand lamps on a tripod can be found on web shop of the brand. Series of botanic photography created in collaboration between the design companies Moebe x Paper Collective x Norm Architects were created specifically for the Moebe Frame. The frame, made of natural oak and black rubber band embodies the aesthetic of simplicity and ‘clean’ construction. This year Moebe designed their first limited edition - red glossy Tokyo frame. On August 30 Moebe released the frame, created in collaboration with iconic Copenhagen based design store Stilleben and Japanese artist Yu Nagaba. Yu Nagaba designs the Tokyo Still Life print as his interpretation of the European art tradition of depicting inanimate objects. The colour of the frame was designed to match the only colour in the print — the stamp with edition number, year and place of release. The limited red edition frame is now available on Moebe webshop, at Stilleben and at Stilleben's Pop Up Shop in Actus, Tokyo. The Tokyo Limited Edition is not the only colour experiment for Moebe this year, the famous Pinch by Moebe will be introduced in colours — Burgundy red and Dark grey. The Pinch consists of two pieces of solid oak and a single rubber band, initially was presented in untreated oak. Now the small details of decor can bring a coloured accent even in the most unsophisticated interior and hold important notes, photographs, or even accessorise wardrobes. Moebe also launched the Wall Hook this season. The simple curvy shape with the hook itself turned inward make it look delicate on the wall. The hook is presented in Black, Chrome and Brass colours, and it will match with any style and colour combination. The product is functional, it can be used as a bent hook beneath and soft one on the top, for delicate pieces. The Pinch and The Wall Hook were launched during the fairs - Formex, ShowUp, Maison&Objet and Oslo Design Fair. You can learn more about the brand or discover all products at moebe.dk.